<br /><br />Thank you for taking the time to speak with us Mihail. Before we get into your mods could you tell us a little about yourself? <br />Hello, my friends from Nexus staff, and hello to all my friends from the Nexus community. I'm very happy to be here talking with you, it’s a big pleasure to give this interview, and has been a pleasure to be on this site for the last 2 years. <br /><br />Well, I'm the guy from my profile photo! My name is Mihail, I’m 40 years old and I'm Romanian (but I was born in Mexico, the son of immigrants). I have lived almost all my life in Europe and now since 2008, I have been living in South American countries, currently Brazil, enjoying some sun and beach. <br /><br />I'm a former athlete and martial arts teacher, unfortunately, retired since 2008 due to 2 severe neck and back injuries contracted in 2001 and 2003 that shortened my professional life. Thanks to Akatosh, I can have a normal life with very little limitations, but if I return to the sport, I could end up in a wheelchair, so I need to stay retired. <br /><br />Video games were also a big passion. I started to modify games in 1998, and TES was a passion since the first title in 1994. Since I have lots of free time nowadays, modding is not only a fun hobby but also a form of therapy for me, since I had felt kind of useless and unproductive in this 10 last years in Latin America. If you think I’m giving a lot to the community, be sure you are giving me a lot too, most importantly meaning to my free time. I do my modding activity daily, almost as a regular job, at least 8 hours per day. <br />You have created an army of weird and wonderful creatures for Skyrim, where do you get your inspiration when choosing which beasts to bring to life? <br />Thanks for the compliment, and well, my plan since the beginning has been to make all TES’ bestiary available, so many of my creatures are from TES official lore. Sometimes they can't immersively fit in Skyrim’s wilderness, so I make them as exotic pets, sometimes summons, but there is always a way. I also try to introduce more “realistic” animals, such as megafauna and farm creatures. And, as a big fan of Dark Sous, Bloodborne, and other RPGs, sometimes I also introduce to this series some creatures inspired by beasts from those games, always with immersive lore added to them. Since TES canon is very subjective and open, I used this to expand the TES universe, without breaking the logic or immersion for the players. <br /><br />Also, I'm a big fan of The Witcher’s world and creatures, and since CD PROJEKT RED is kind enough to allow the usage of their stuff, sometimes I bring to Skyrim some creatures directly from The Witcher's world too. <br /><br />I also do mythological creatures and accept suggestions too. For example, my recently released Gorons from the Legend of Zelda was a suggestion from a member of my Discord server. <br /><br />Do you have a favourite theme of creature to create (demons, monsters, (prehistoric) animals, etc.)? Or one particular mod that you are most fond of? <br />I particularly don't like to do undead. I like the final result, but because of the necessity of transparencies, ghostly FXs, scary HD hounds, putrid parts, etc., I find this kind of tiring. I like to work on animals, humanoids, but especially Daedra. 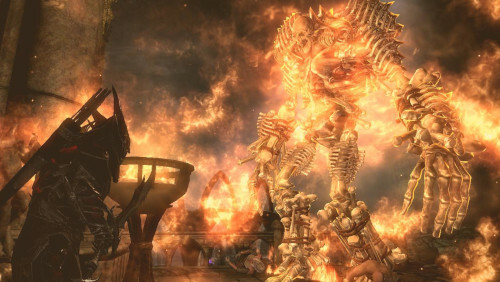 And if I need to choose amongst Daedra, Atronachs and Golems are by far my favourites to work on. Amongst my mods, my favourites are almost always precisely them, but I have a special love from my recently released Goblins, and my Centaurs. <br />I'm not the kind of guy that works well in groups because I always want to work quickly. I worked alone for more than a year on creature production alone. I started to take part in some collaboration in the beginning of 2018 on animals, specifically with Berkian from Dark Creations/ Beyond Skyrim, and other great authors, but it's still work to do since I commonly need to re-model them and animate the models. In creatures (undead, monsters, Daedra) unfortunately, I received no collaboration until 2 months ago. Recently I have started a partnership with my good friend SoN6of6TrediS, and you can already see some of our colabs in the mods where you find his name alongside mine on the author tab. Despite this, I have always had some great team members supporting me in other matters regarding MihailMods production. Since almost the beginning I have at my side my good friend Joseph Russell, now also releasing his own mods on the Nexus, who worked with me on some of my quest mods. Also since the beginning, I have had at my side my great buddy RustyShackleford69 too, helping me with the lore, my other good friend Lonenorseman, who worked with me founding my discord server, and my dear moderators from my Discord Server, Mara, Eboni, Zio and Spasticon1, who do an amazing job taking care of the MihailMods server and are also amazing friends to me, and great modders. Also, I think that a new partnership will start with my good buddy UrzumoghDrunkface. 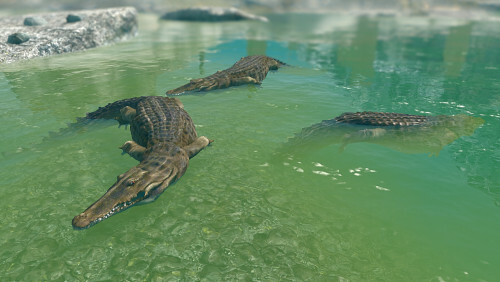 <br /><br />Your creatures are not only great standalone mods, but you also keep them fully open source - allowing others to include your animals in their own creations. What made you decide to release them this way? 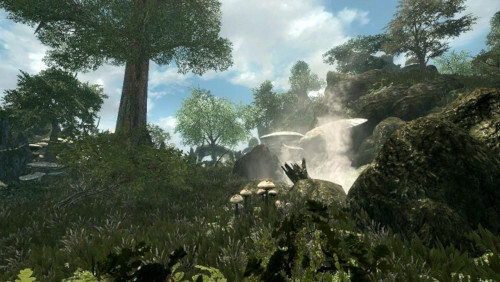 <br />I worked in some mod projects for Skyrim with other authors until the release of Dragonborn DLC, and then I left and returned in September 2016. The plan was to make just quest mods this time, but I found that in all these years, less than 30 % of the TES bestiary has been done for Skyrim, nor mythological creatures, or even common animals. I tried to do my quests Sulfur and Fire, Corprusarium and Hall of Memories using the resources I had and those that were kindly offered to me by other creatures’ authors, andIi thank them a lot for that, but they didn't have everything I needed. So I stopped the quests’ production and decided to make a big immersive creature pack, with really unique creatures, not only as a standalone creature mod for players but also as a big resource for all modders. You will find there all you need, and you can indeed use them in your mods, and focus yourself on making the quest, and not in digging for creatures, and claim permissions from, in many times, rude mode authors. That's the main goal, no one more will be unable to make the mods they want just because they can’t get the creatures they need. <br /><br />Are there any mods made by the community, using your creatures, that you particularly like? <br />I, unfortunately, see that only a few mods really use my creatures, and this makes me kind of sad. I know that are lots of mods being done using my creatures, but just a few already released. <br /><br />When I returned in 2016, I had forgotten about lots of things about modding, and there was a lot I had never known, especially to do with making unique creatures. Let's be fair - until them what was done in creature mods was to just re-texture a creature, or make a simple mashup, or just animated a creature exactly with the same body proportions of the vanilla creature that the animation is based on. I have a lot of respect for the authors who have done this, but I wanted something new and unique. So I started to explore the possibilities, making new body shapes to work properly, animate creatures with 4 legs and 2 arms, humanoid creatures with flapping wings, creatures with 4 arms, with many heads, etc., and I have succeeded on this, as you can see in my mermaids, centaurs, harvesters, hydras, land and sea dreughs, imps, etc. Also, I wanted them to have custom sounds, custom behaviour, loot, effects, spells, etc., and this all was very experimental, so, in the beginning, some of my first mods had many glitches, bugs, sounds too loud, sometimes creatures were not balanced properly, commonly too strong, etc., but I learned with the passage of time, and always corrected all my old mods, also releasing new models to the creatures. <br /><br />So I saw that sadly some people that experienced this issues in the beginning, never tried the updates or the works that came after, and just spread until now the same myths. This is sad, because I improved myself a lot in this last 2 years, and I've done a crazy effort to produce more and better each day for the community, for free. <br />I use ZBrush for modelling and retopology, I use 3dmax for rigging and light modelling, Photoshop for texturing and the basics Nifskope and the creation kit. I think ZBrush is the best, not much to say, I think almost all modders agree, but on the rigging part, I think 3dmax is much more friendly. Not a big fan of Blender, I have used it for many years, but still, think it’s very alien. I know that there are very little tutorials about creating unique creatures for Skyrim, step by step, just a few on Blender and not complete, so I promise some complete tutorials for soon, from initial sculpt into the final settings on creation kit. <br />I think that things need to be immersive and logical. As I’ve said before, I made some initial errors on the stats and balance of my first creatures, and they are now fully corrected, but some of my creatures being especially powerful is not a mistake, it's fully intentional. <br /><br />I'm an old school gamer, and I don't like the idea of all being levelled. Sometimes you need to run from a creature until you reach a higher level. A game that gives you the chance to slaughter everything at any level does not make sense to me. So the stats, abilities and balance of my stuff is a mix between Morrowind/Oblivion, Skyrim and Souls series types of gameplay. <br /><br />I also believe that strategy is very important to the fun of playing a game, so my mini-boss and boss type creatures always have strategies that can be used against them, sometimes in the architecture of the place, or observing the types of movements they do, or some weakness they have, etc. Since all my creatures have special abilities, weaknesses, resistances, type of behaviour, etc., you must observe them before you engage in combat, and following this logic, you will usually deduce what strategy you may use against each specific foe. <br /><br />I also make a big effort to make the world alive, so you will see, for example, Goblins trying to take back their caves from bandit invaders, giant Terror Birds hunting deer on the tundra, angered Gorons attacking miners that disturbed their rest, Ghosts haunting crypts, Ogres assaulting travellers on the roads, and many more things that happen independently of you, and that makes the world looks much more alive. <br /><br />Also, I’m against touching levelled lists and I hand-place everything, also when they are more than 100 individuals of a species, for example, a duck. I don’t think I need to overpopulate your game with my creatures, and also doing this hand-placing and selective spawn of creatures, I’m already running out of space. <br /><br />You also have a quest series “Shadows of Dagoth Ur” saga in the works. What can you tell us about that? 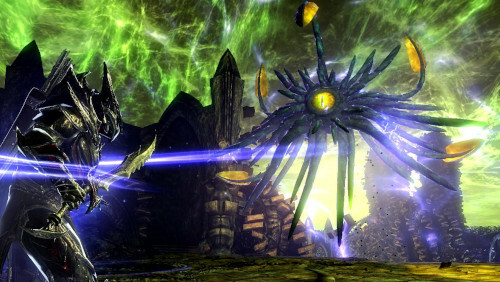 <br />As I have said before, I hid The Corprusarium of Solstheim- Shadows of Dagoth Ur pt.1, Sulfur and Fire- Trial of Mehrunes Dagon and The Hall of Memories - Reencounters in Moonshadow precisely because I was not happy using creatures from other authors because they are not what I want them to be, so I hid them to make my own creatures for them. Now the 3 mods are released again to the public (or close to the release) by the time this interview is released, and you can see the big improvements that all the mods received, not only on creatures but on landscapes and on the quests themselves. 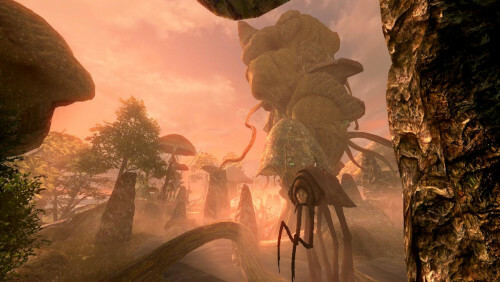 <br /><br />Shadows of Dagoth Ur pt.2 does not have a title yet but will take place on an island off the province of Morrowind, on the sea between Mournhold and Necrom, approximately the size of Solstheim. An island of fishermen, with a volcano when the soul of Dagoth Ur managed to return and are again trying to conquer the world and spread Corprus. It's the continuation of the Corprusarium mod, and I’m sure you will like it a lot. <br /><br />Do you have any advice to people wanting to get into creating mods like yours? <br />Trust yourself, believe that you can, and you will do. Don't do what the others are already doing, do unique things, go far, and think out of the box. Thinking straight on this modding thing only will make you do things that resemble the vanilla game. You need to find other ways, have no fear of errors, you learn by making mistakes, and improving them after. Be very demanding with yourself, always being the biggest critic of your work, but also your biggest fan. Oh, one other thing: you will not please all the community, and you even if you make the best possible mod, you will also have people on your mods complaining about things that are not your fault. Let’s say that 50% of the community doesn’t know how hard is to make a mod, especially creatures, so they don’t understand the obstacles you find and the limitations you have in Skyrim’s engine, for example with new animations. So, don't let that get to you, because if you work with heart, you will receive the recognition, but remember, you will still need to prove yourself worthy in each new work. <br /><br />In the beginning, I heard many times that my work was garbage, bad, terrible, an offence to modding, including from other modders. I received many "NO"s when I asked for permission to use some of their assets. I was ignored many times when I asked other modders for help in some modding matter, I was told many times that I had no future in the modding scene. And now I'm here giving this interview as a form of recognition from the Nexus staff and the community, so, my good friend, you can do it, just understand that you must have the biggest respect for the community, never act in a selfish way, and always do your best. <br />And that’s it. Huge thanks to all of you, and let’s keep modding like crazy.